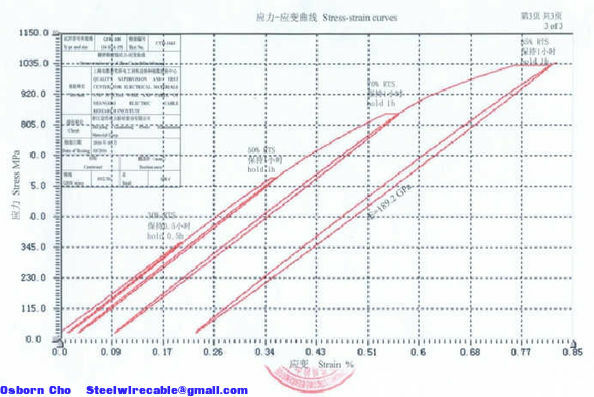 Quality Control - Zhejiang Guanming Power Transmission Material Corp.
We are fully in accordance with the ISO9000 quality control process for our products to ensure that our raw materials, semi-finished and finished products are in line with the customer's quality requirements. For some customers special requirements on product quality, we will pay more attention, we strive to make each batch of our product are fully qualified. ■ How To Make The Product Undamaged? We pack and load the products according to the customers’ demand, and we have rich experience on it. ■ How To Ensure The Length Of Galvanized Steel Core Strand Per Drum? We increase 20m/length on the base of customers’ demand. ■ How To Ensure The Galvanized Steel Core Strand Unloose When Cutting? To adjust the pre-forming correctly. ■ How To Prevent The Broken Of Wire? 1. 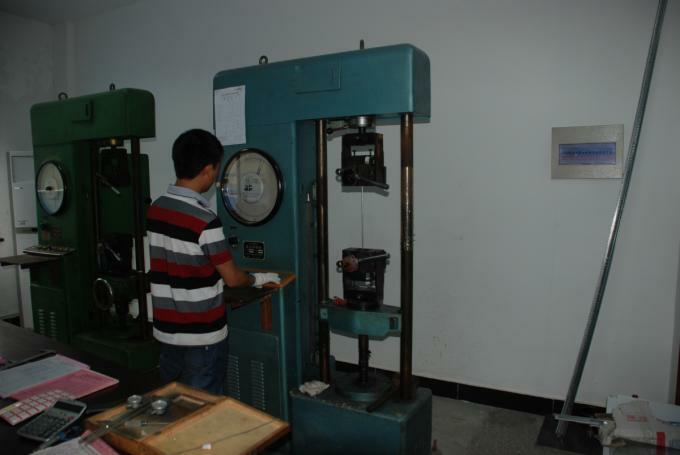 To test the steel raw rods strictly, to ensure every coil is qualified. 2. To forbid welding wire in all the processing. ■ How To Ensure The Quantity Of Zinc Is Qualified? We increase 10g/m² on the base of customers’ demand. ■ How To Ensure The Surface Of Galvanized Steel Core Wire Is Smooth And The Zinc Coating Is Uniform? To keep the temperature of Zinc liquid always in the same degrees. To change the wood coal on time, to add the vaseline on time. 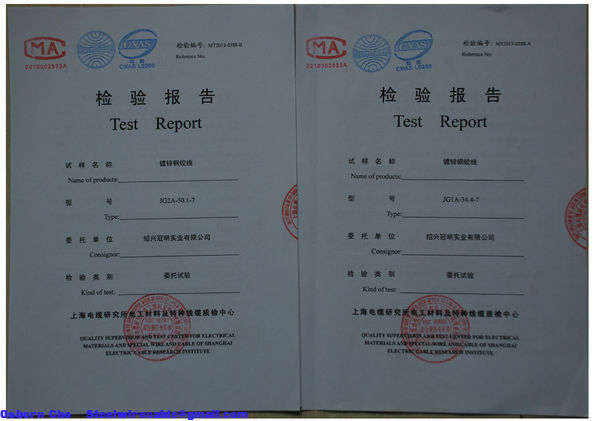 ■ What Standards Can Be Used By Guanming For Manufacturing Galvanized Steel Core Wire And Strand? We have rich experience on manufacturing galvanized steel core wire and strand, the frequently-used strands are ASTM B 498, BS EN 50189, BS 4565, BS 443, IEC 60888. 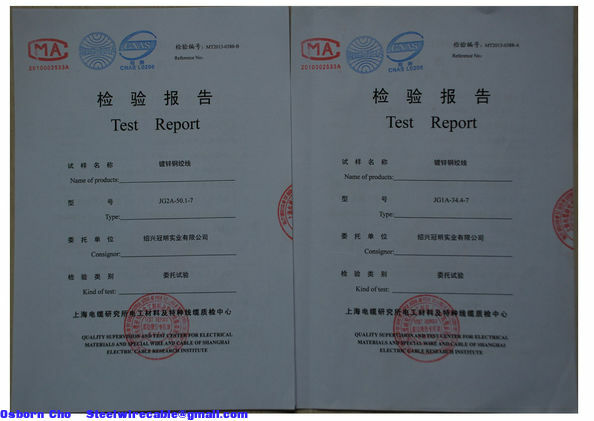 IEC 61089, ASTM A 475, BS 215 Part 2, ASTM A 363, BS 183 and so on.